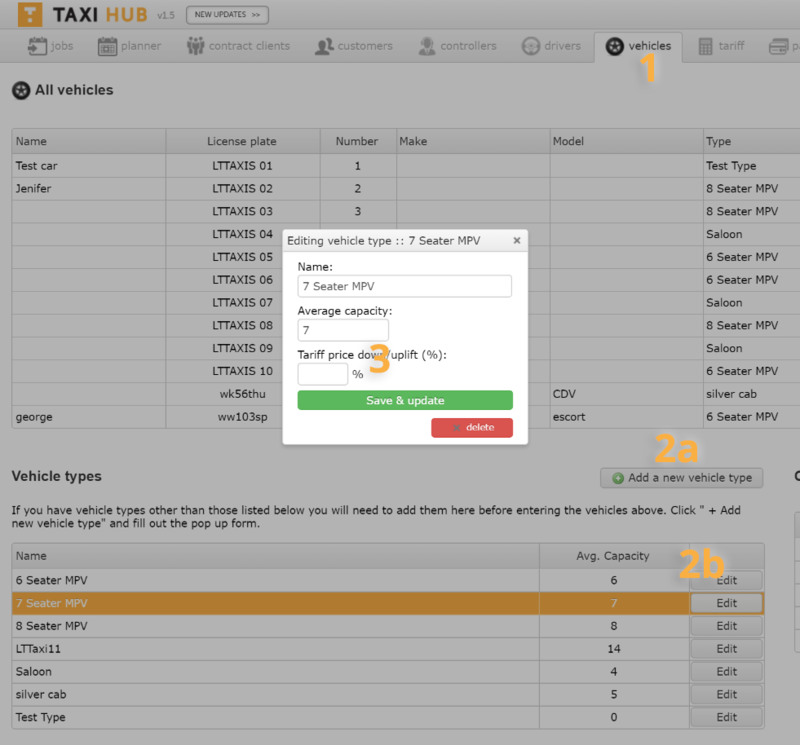 Taxi Hub offers the ability to increase or decrease the fare, based on the the vehicle of choice. This is useful if you have prestige or executive vehicles in your fleet. Navigate to the “Vehicles” tab. The pop over box will appear and you can then add the % down/uplift. So a for a 10% uplift just write 10 into the field, for a reduction of 10% write -10. Please remember to save this before carrying on with your work. If you cannot find an answer to your question please send us an email.